Seismic analysis. Ductility reinforcement criteria and capacity design criteria for seismic design of concrete columns and beams with the NEC-11 (Ecuador) code. Bill of quantities of the structure using the Price generator of Chile. Norma Ecuatoriana de la Construcción. Capítulo 2.- Peligro sísmico y requisites de diseño. This seismic load was already implemented in CYPECAD and Metal 3D as of previous versions. As of the 2013.n version, if users select the NEC – 11 seismic code of Ecuador and combine it with the ACI 318M-08 (USA) concrete code, CYPECAD’s Advanced beam editor and column editor may also be used. Additionally, by using this code combination, CYPECAD applies the ductility reinforcement criteria and capacity design criteria of the NEC-11 code to the seismic design of concrete beams and columns. This code was already implemented in the Etude thermique tab of CYPECAD MEP for France, as of previous versions. Since it was implemented, the features of the program related with the application of the RT2012 have been improved. Prestazioni energetiche degli edifice – Determinazione del fabbisogno di energia primaria e dei rendimenti per la climatizzazione invernale e per la produzione di acqua calda sanitaria. This code has been implemented in CYPECAD MEP for Italy (Studio termico tab) and allows for users to establish the primary energy demand of the building and the yield of the heating and sanitary hot water production systems. More information on this implementation can be found in the Studio termico (Italy) section of this webpage. New for the 2013.n version is the option to introduce one and two-pile pile caps with an eccentric column with respect to the axis defined by the piles. Similarly, the program can also analyse pile caps with three or more piles, with a column that lies outside the area defined by the centres of the piles. Strap beams are required for both cases, to absorb the bending moments that are generated due to the eccentricity of the column. The main reinforcement of the pile cap is designed assuming it is exposed to centred compression loads. In the case of one and two-pile pile caps, the strap beam is required so to guarantee the equilibrium of the foundation if, as usually occurs, the piles supposedly only resist axial forces. In all cases, the fact the column is situated outside the area defined by the piles implies the load transmission mechanism from the support to the piles is similar to that of a corbel. The program assumes that the top reinforcement provided in the strap beam is capable of resisting the tensile forces as would the main reinforcement of the corbel, hence the transmission mechanism is guaranteed. This is true as long as the reinforcement of the strap beam has been designed correctly to resist the centring forces and is anchored below the column. The calculation of the shifting of the bending moments has been optimised, in the Advanced beam editor of CYPECAD. The seismic code of Ecuador, NEC-11 (Norma Ecuatoriana de la Construcción. Capítulo 2.- Peligro sísmico y requisites de diseño) was already implemented in CYPECAD and Metal 3D as of previous versions. New for the 2013.n version is the possibility for CYPECAD to generate the bill of quantities of a concrete structure if it has been analysed bearing in mind the job units and prices of the Price generator of Chile. To do so, CYPECAD must be installed in Spanish for Argentina or Spanish for Mexico, and the job must have been analysed in accordance with either the Nch 430.Of 2008 (Chile) or ACI 318-99 (Chile) code. To be able to carry out the export, the user license must include the connection with the corresponding Price generator. New countries have been added to those for which CYPECAD MEP can design building services and generate their corresponding bill of quantities. The building services designed for each country are connected with their corresponding Price generator, which is then used to select construction elements, to select installation elements and generate the bill of quantities of the installation that has been designed. 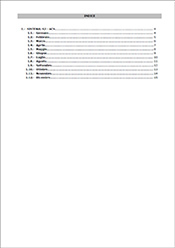 The 2013.n version of CYPECAD MEP incorporates the following countries: Algeria, Cameroon, Chile, Ivory Coast, Gabon, Republic of Congo and Senegal. The Acoustics, Fire (only FDS) and Air Conditioning tabs are available for all these countries. Acoustics, Fire (only FDS), Drainage, Air conditioning, Plumbing and Gas. Acoustics, Fire (only FDS) and Air conditioning. Acoustics, Fire (only FDS), Air conditioning and Gas. Thermal study, Acoustic study, Fire, Sanitation, Air conditioning, Solar thermal, Gas, Lightning rods, Lighting, Electricity and Telecommunication (ICT). Thermal analysis, Acoustic analysis, Fire (only FDS) and Air conditioning. Cypevac 3D, Fire (only FDS) and Air conditioning. Acoustics, Fire (only FDS), Air conditioning and Electricity. Cypeterm, Cypevac 3D, Fire, Sanitation (water supply and wastewater management), Air conditioning, Solar thermal, Gas, Electricity and Telecommunication (ITED). Thermal study, Acoustics, Fire (only FDS) and Air conditioning (does not generate bill of quantities). 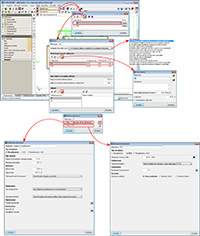 The new version of CALENER VYP (Version 1.0 – 11th April 2013) incorporates a materials library which no longer coincides, as it did before, with the LIDER materials library. The 2013.n version of CYPECAD MEP allows for materials to be imported from both libraries when a material is created in any of the construction element dialogues which allow for them to be created. 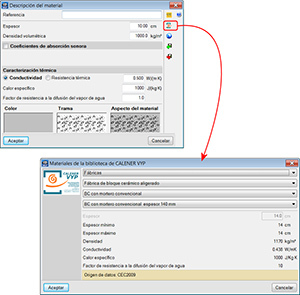 This application must be installed to be able to import materials from the new CALENER VYP. A new management system for water supply manifolds has been implemented (Sanitation tab > Instalación > Suministro de agua (HS 4) > Colector) which allows for different types of manifolds to be introduced in the same job and also edit all their properties. The program checks that all the manifolds that have been introduced by users meet the design requirements of the installation. The manifolds to be used in the installation which is to be designed can be selected from the new dialogue box that appears when a water supply manifold is selected. A new management system for water supply regulator tanks has been implemented (Sanitation tab > Instalación > Suministro de agua (HS 4) > Depósito regulador (aljibe)) which allows for different types of tanks to be introduced in the same job (cylindrical and rectangular) and also edit all their properties. The program checks that all the tanks that have been introduced by users meet the design requirements of the installation. The regulator tank to be used in the installation which is to be designed can be selected from the new dialogue box that appears when a water supply regulator tank is selected. A new water consumption point has been added: Urinal with flushometer (Instalación > Baño / Aseo (no domestic)). The simultaneity coefficients indicated in annex V of the RGSPPDADAR are applied for consumptions with flushometers in the designed water supply installations for Portugal. 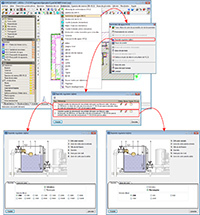 The program allows for the labels to be moved after the analysis. This way, users can displace them when they overlap or lie very close to one another (Resultados > Mover chamadas de trechos). For those cases in which a distribution board or sub-distribution board contains a circuit providing two-phase charges, the program establishes the system as two-phase and allows users to change it to a three-phase system. The distribution of several circuits along the same closed duct (tubes and channels) has been established, up to a maximum of three circuits per duct. If a tube or channel installation type has been selected, the program automatically distributes the circuits in such a way that there are no more than 3 circuits per duct (criteria that has been adopted so not to penalise the maximum allowable intensity of the cables, affected by the correction factor due to circuit grouping). The duct is designed in such a way that 60% of it is free. New for the 2013.n version of CYPECAD MEP for Brazil are multi-line (two-line and three-line) diagrams, which have been implemented in the electrical drawings for the different distribution and sub distribution panels of the electric installation. 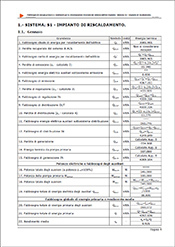 The UNI/TS 11300-2 code has been implemented (Prestazioni energetiche degli edifice – Determinazione del fabbisogno di energia primaria e dei rendimenti per la climatizzazione invernale e per la produzione di acqua calda sanitaria). Using this implementation in CYPECAD MEP for Italy (from the Studio termico tab), users can establish the primary energy demand of the building and the yield of the heating and sanitary hot water production systems. The program allows for the properties of the heating and sanitary hot water systems to be defined (distribution, emission, regulation and be generated with or without accumulation), regardless of whether they are individual or in a group, for each use unit of the building (Zone). 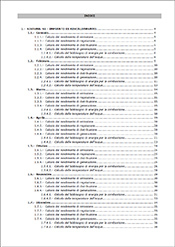 To do so, the section Sistemi has been implemented in the Zona dialogue (Zone > Modificare o Aseegnare > editar o definir Zona). The definition process for the heating and sanitary hot water systems can be seen in the attached image. 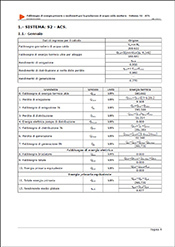 CYPECAD MEP also generates justification reports of the primary energy demand and of the yield of the heating and sanitary hot water production systems (File > Stampare > Relazioni del progetto). Fabbisogno di energia primaria e rendimenti per la climatizzazione invernale del sistema edificio-impianto. Fabbisogno di energia primaria e rendimenti per la produzione di acqua calda sanitaria. CYPECAD MEP automatically detects the linear thermal bridges of the building. Nonetheless, there are some thermal bridges that are analysed using codes such as EN ISO 14683 (to which the UNI/TS 11300 Italian code refers to) and are not yet detected automatically by CYPECAD MEP. 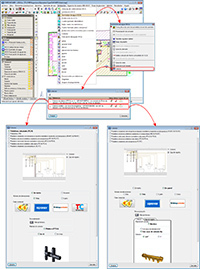 For this reason, the linear thermal bridges that are not detected by the program, such as columns, can be defined in the Zona dialogue box (as well as the properties of the heating and sanitary hot water production systems indicated in the previous section). In the image of the program in the previous section, the definition of these thermal bridges can also be observed. The export to IFC2x3 and IFC4 formats of the Sanitary hot water accumulation systems in the Air Conditioning tab; and the equipment in the Solar thermal tab (only for Spain and Portugal) has been improved. This equipment could already be exported to IFC format (Industry Foundation Classes) as of previous versions, in accordance with the standards of the format. Now, with the 2013.n version, the export includes materials, colours, appropriate assignment to the IFC entity and technical properties of the selected manufacturers. 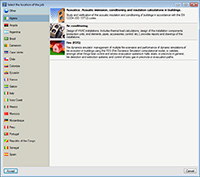 As of the 2013.n version, the connection of Arquimedes with Allplan 2013 (64-bit) and ArchiCAD 16 (64-bit) can be installed. The connection with the 32-bit version of these CAD programs was already possible as of previous versions. The connection of Arquimedes with Allplan, ArchiCAD and +Extended belongs to the Automatic quantity import from drawings and link with CAD programs module.